Predictably, the gunfight at OK Corral began today with a lot of noise and smoke but no result. The FIA refused to move on the budget cap of £40 million and there will have to be other meetings as a result. All fired up from the excitement, the teams proceeded directly to their own little huddle to decide what their reaction would be to the intransigence of the governing body. It remains to be seen what comes of that. In the meantime, it seems Ferrari has started legal proceedings in the French courts to block the FIA's rules for 2010. As I warned, this is the big one and the teams will throw everything into the battle before leaving the field. They have no other option in the circumstances. Contrary to many expectations, FOTA's unity appears undented by the known differences in views on the cap. The smaller teams may have signalled their willingness to enter the 2010 lists but they do so under the duress of Mosley's bringing forward the deadline for entries. They are as unimpressed with the FIA's handling of the matter as are the big teams; they sign because they exist only to race in F1 but they still stand with FOTA in opposing the introduction of the new rules without consultation. The FIA had a minor boost in confidence yesterday with Litespeed's announcement that it would be applying to join F1. This adds to the number of wannabes apparently interested but hardly makes up for the prospect of the departure of the big teams. An F1 made up of three independent existing teams and a horde of hastily formed new ones has nothing like the draw of the sport today and viewing figures would fall through the basement. There are two things that stand out so far in the battle. 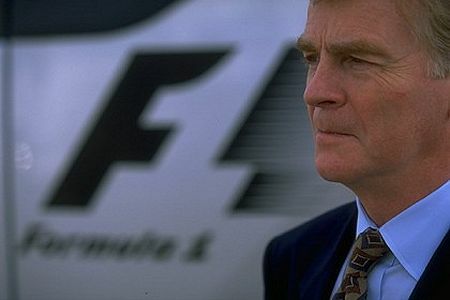 Firstly, it appears that Max Mosley wanted this confrontation; his actions, statements and their timing seem perfectly planned to bring about a war with FOTA and the big teams in particular. If he had been looking for a way to squeeze out the manufacturers as quickly as possible, he could hardly have done better. Now he has his war and we will know the result in due course. Secondly, FOTA's shift in focus from the two-tier system to the governance of the sport shows how determined the teams are. They are no longer prepared to paper over the cracks this upset has caused and are now insisting that such eruptions do not happen again. You know and I know that means Max has to go - he has demonstrated too many times that his promises mean nothing and he cannot be trusted to adopt a more sensible method of government by consensus therefore. The battle has begun quietly with a brief skirmish over the budget cap, predictably so, since Luca di Montezemolo was unable to attend due to the death of his father yesterday (and my condolences to him). Nothing can be decided without him, as Bernie will hasten to confirm, and the real struggle must wait for his return. Luca is Ferrari, after all, and the other teams will follow his lead. But that does not mean that the manufacturers will stay if Luca is bought off somehow (and I doubt very much that he can be this time); they will leave if their demands are not met because they will no longer have a reason to stay in the sport. And that is what Max and Bernie need to think deeply upon in the next few days: F1 without Ferrari is unthinkable, yes, but without Renault, BMW, Toyota and Red Bull, it will still be only a shadow of its former magnificence. The sport could cope were these teams to leave one by one over a period of time - a mass departure would be disaster. It seems to me if Max won't resign (and even if he does) the real issue is FOTA's share of pot. So inevitably, as Bernie is not going to be in favour of 70/30 split to FOTA or even 60/40,then FOTA have to have a plan B. The only plan B, many of us can envisage, is where the teams can have say 85% of the pot (smaller initially) with 15% to promoters means they have to subcontract the whole TV rights to another promoter and start a more rational rules based system with impartial (or more competent) stewards. Now is probably the right time to create the split as neither of the big boys (except Red Bull) have the car to win this year's championship. Least cost strategy and this whole game might be to win fans sympathy for the reasonableness of FOTA's case and hopefully most will migrate to a new and real F1 series. It appears to me that Ron's ghost may still have a part to play in this duel. Max Mosley hasn't even noticed that his regulations as currently formulated force everyone to go uncapped - or at least everyone who doesn't want to be disqualified for something like changing a senior member of staff unexpectedly mid-season. Until he does, then the cost cap is doomed to fail. The FIA's high-handed behavior means that I can see no way that it can possibly win the case Ferrari is pursuing against it either, unless it is by threats. Ferrari will not be moved as easily as Minardi was when the FIA threatened not to have anything to do with Australia if it didn't drop its Melbourne 2005 protest because Ferrari has more power than Minardi and also has no particular presence in France. This is Max Mosley's poll tax - the act that will symbolise his fall from the height of his career even if other things will perhaps be more influential. KP: I agree that the share out of money is an important part of what the teams want to sort out. It may not be on the apparent agenda of the negotiations between FOTA and the FIA but the mere fact that Bernie keeps popping up with something to say shows that he knows that the battle is for money as well as sensible government. Max may well disappear in the coming storm but Bernie will fight tooth and nail to retain his control over the money. His problem is that he knows even better than Max that he cannot afford to lose the manufacturer teams just yet. The war has been started by Max too soon for Bernie's purposes and Bernie may lose as a result. Alianora: Agreed completely. I don't know enough about French law but it seems reasonable to suppose that Ferrari would not have begun proceedings without a very good chance of winning. This is Max's Little Big Horn indeed. Gosh, it seems to me like there's a whole bunch of stuff to get worked out in a very short period of time. The next couple of weeks should be fascinating with lots of intrigue and bluster. Should be a good time. Don: I think the deadline date will be quietly forgotten in all the discussions. Those that register will stay on the books but teams will be able to sign up afterwards too. I just hope the teams stay together. If they do, Max's days are numbered. I wonder if Bernie is sharping the knife for use in Max's back. I can't help but believe he is. Imagine the loss of revenue for his masters should Ferrari leave. Steve: That's the key, of course - can FOTA stay together? Even if some teams fall away, however, I can see the manufacturers leaving if they want to. Some of them were very close to deciding that way over the off season and they'll take the plunge if Max doesn't back down. Bernie will have to abandon Max if he can't get his friend to see sense. The loss of income would be disastrous to CVC if Max kills the goose that laid the golden egg. I wonder what promises have been made to Lola, for them to arrive at such an opportune moment? I wondered that too, Nick. However, saying you're going to enter is a very different thing from turning up at Melbourne with a team, cars and drivers. I'll believe it when I see it. Clive, I can't see Max forgetting the deadline. It's one of the few powers he's got left in all this - that he can compel people to sign up in a short space of time. Out-of-time registrations will be considered later subject to vacancies (provision for that already exists in the regulations), but he's hoping the fear of teams taking the slots instead of the current brigade will force teams to agree with him. What he has forgotten is that there are only currently 10 teams and 13 slots. Toyota will probably leave whatever happens, meaning that there will be 9 teams for the 13 slots. This is as distinct from the 11 teams and 12 slots last time Max tried this ploy in 2006. Only three teams (Litespeed, Lola and USF1) have so far declared their intention to sign up, so at the moment all the teams likely to want to sign can do so at their leisure. Also, there's no point in anyone signing before the injunction Ferrari are trying to get is decided upon. It may be that the budget cap is prevented from existing anyway, rendering the whole debate a bit moot. The teams need to stay together. It's their only hope of rescuing F1 from the fate of having all the cost-capped members disqualified at the end of 2010, or else subject to the whims of FIA arbitrariness. It is obvious what promises have been made to Lola - a $10m "golden handshake", a Cosworth engine supply of indeterminate cost and a maximum of £40m expenses per year. Max has already said that teams may sign up after the deadline as long as there are places available, Alianora. Which means that there is no deadline in reality - it is merely a ploy to put pressure on the existing teams. As you say, it is hardly effective since there are plenty of slots available. Lola's statement of intention to enter is about as valuable as the promises they've been given - they're worth about as much as the paper they aren't written on. Max can promise nothing until the court case is decided, as you say. Now I see what Kimi Raikkonen hates about F1.